I enjoy everything glutinous, be it rice, sweet / savoury rice cakes or desserts. Therefore, I have to constantly remind myself to eat only as much as I should. 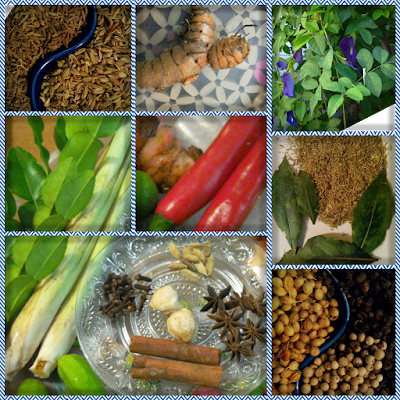 This recipe is usually accompanied by the traditional rich chicken curry with coconut milk. 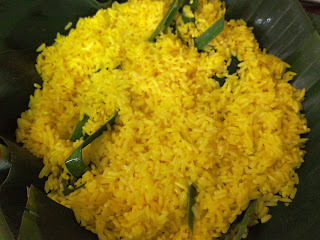 I still take that once in a while but I prefer something non rich since the glutinous rice is already rich and filling and uses coconut milk too. I have posted Sambal Chicken and Sambal Sotong (Spicy Chicken and Squids) recipes earlier and they taste great with the rice. ** Tamarind peel can be substituted with 1 tsp lime juice. Mix rice, turmeric powder, water and tamarind peel and soak for 5-6 hours. Line a steaming tray with banana leaves. Shred each pandanus leaf lengthwise into three, tie into knots and place in tray with turmeric slices. 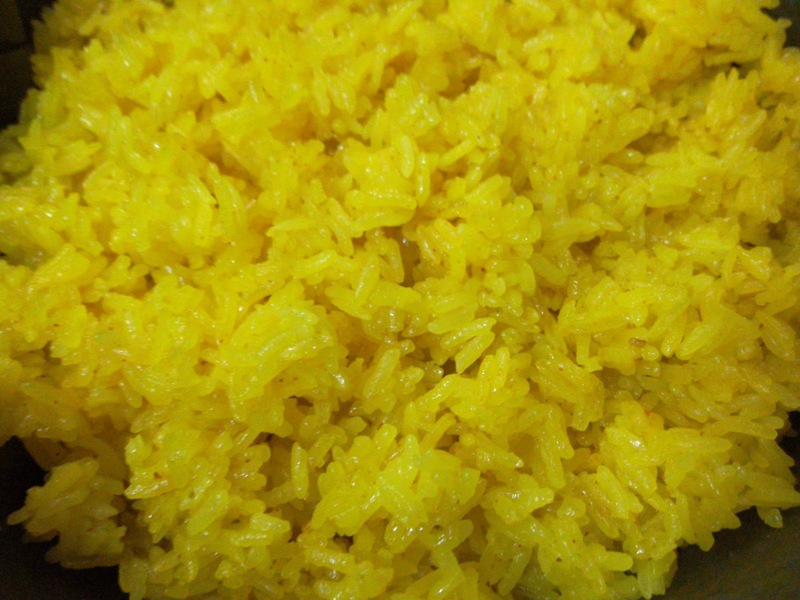 Drain rice, mix with peppercorns, salt and spread evenly in tray. Pour 100ml coconut milk over rice, place tray in steamer of boiling water and steam over high heat for 20 minutes. Remove tray, add remaining 50ml coconut milk and mix the rice together gently with chopsticks or fork. Place back in steamer and continue steaming for 8 to 10 minutes over medium heat until cooked and fluffy. 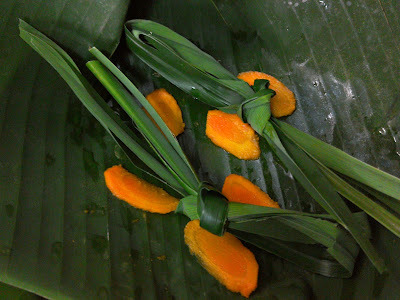 Discard pandanus leaves and turmeric slices and serve with curry or sambal. ** Turmeric has healing properties and aids in alleviating inflammation and pains. Caution: May react to certain medication. Avoid excessive consumption.